From the moment you turn off Bussell highway and into Capel Drive you know you are about to view something which is rarely for sale in this area. 159 Capel Drive is a 2.37 hectare (5.8 acres) property located one minutes’ drive or nine minutes leisurely walk to the Capel Post Office and Town Centre. The experience starts as soon as you turn into the driveway past the whitewashed post and rail hardwood fence and head towards the well-maintained two bedroom, one bathroom character home. This property ticks all the boxes for Location, Family, Convenience, Space, Land Size, Storage of Vehicles/Equipment, Room to Expand, Tranquillity, Agjstment and Potential. 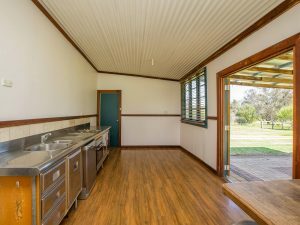 -The 9m x 2.5m verandah protects the home on two sides, has newly laid hardwood decking and a rustic wide handrail to sit those summer time drinks on and just absorb the lifestyle! -The kitchen is bright and inviting with polished laminate flooring, stainless bench tops and doors, dishwasher, oven and separate stove top. -Opening the 2 wide opening wooden framed doors in the kitchen will lead into the patio area and make your senses tingle. The horses are playing in their fully enclosed paddock to your left. The mowed green lawn stretches out in front of you to create an area for big and small kids to play. The wood shed is off to the side and ready to supply heat and flavour for that perfect BBQ. The weeping willow tree to your right perfects the picture. 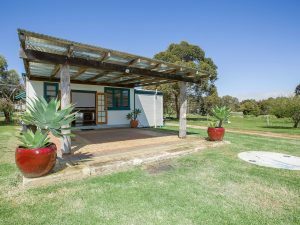 -The sunroom has dual access from the lounge room and from the front verandah allowing this room to be used as a third bedroom with its own private access. -The spacious bathroom is practical and bright. -Looking further from the patio is a 7m x 8m large powered workshop with sliding doors. -Fully enclosed property with good fencing. 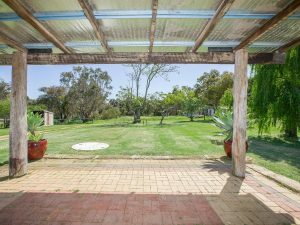 -Enclosed paddock occupies approximately 2/3 of the property and the house and workshop occupy the remainder. &This property is zoned Urban Development. Increased densification of the area is occurring. Potential buyers are asked to make their own enquiries with Shire of Capel. 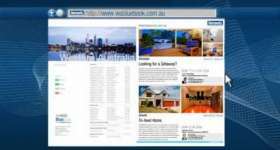 Check out our website or call Ian on 0418 933 121 for more information.